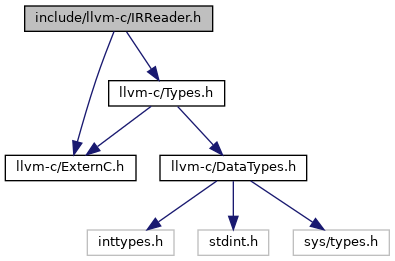 Read LLVM IR from a memory buffer and convert it into an in-memory Module object. Returns 0 on success. Optionally returns a human-readable description of any errors that occurred during parsing IR. OutMessage must be disposed with LLVMDisposeMessage. Definition at line 115 of file IRReader.cpp. References llvm::raw_ostream::flush(), llvm::parseIR(), llvm::SMDiagnostic::print(), llvm::release, llvm::unwrap(), and llvm::wrap().